Choice-based Conjoint analysis (CBC), also known as Discrete Choice Modeling (DCM), looks at choices instead of ratings or rankings (CVA and ACA), which is considered to be more life like. It requires research participants to make a series of trade-offs by indicating their preferences within a controlled set of potential products or services. Analysis of these trade-offs will reveal the implicit valuation of individual elements making up the product or service – e.g. brand, package, price. What are the advantages and disadvantages of Choice-Based Conjoint analysis? When do I use Choice-Based Conjoint analysis? 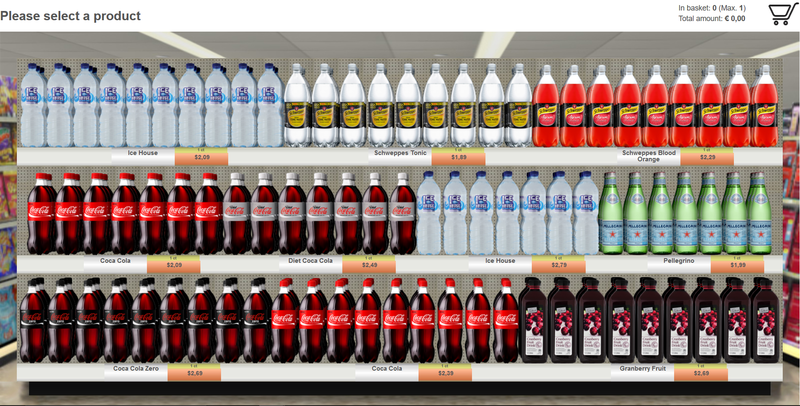 ‘SKIM virtual shelf’ displays test products in a competitive environment, on a digital retail shelf, replicating the consumer’s in-store purchase situation. At SKIM, virtual shelves are utilized in Choice-Based Conjoint type of studies, often related to consumer goods portfolio pricing strategies. The power is in closely replicating a retail shelf, while at the same time maximizing our flexibility to influence different aspects of shelf design and measure their impact on consumer choice behavior. Please click on one of the thumbnails below to experience a SKIM virtual shelf survey for yourself!